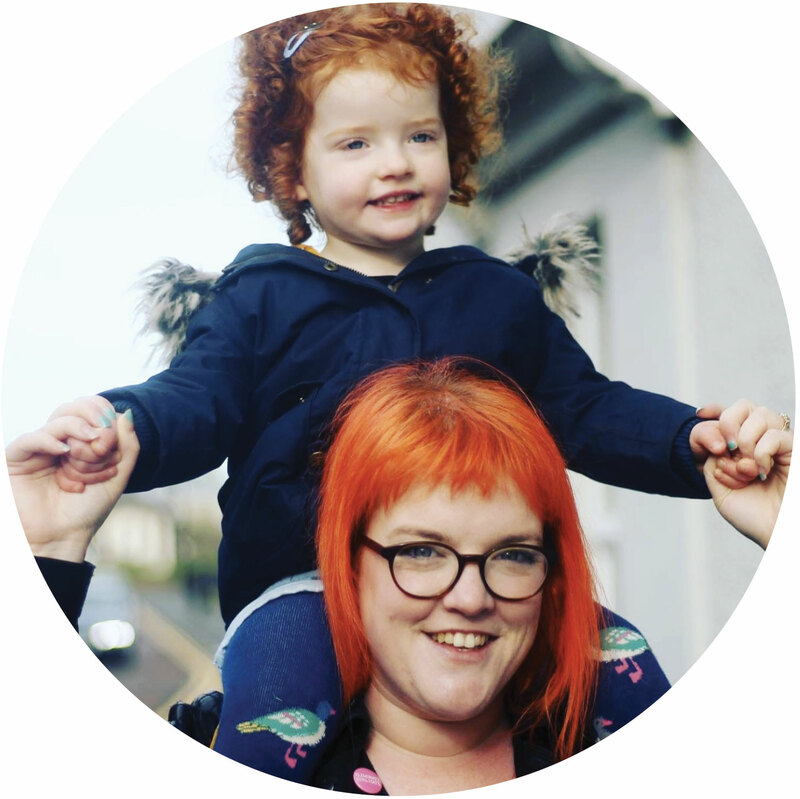 This week saw me launch my frugal meal planning mission in a vain attempt to save some pennies and be more organised with evening meals. Ever since Christmas I have been all over the place in terms of cooking and getting myself organised after work. I suppose it makes sense that after a leisurely couple of weeks in a nice warm house with heaps of time to plan and cook nice things, getting in at 6pm after a full day at work and slaving away in the kitchen is less than appealing. On the flip-side though, if I haven't planned something we inevitably end up grumpy, hungry and heading for the chip shop; which is bad for both the wallet and the waistline. So, for this weeks Sunday Lunch I decided to embrace the frugality and make a leftover pie. I made a HUGE batch of pastry and split it into three, freezing two for future pies. 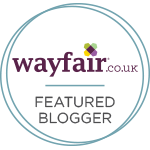 Call me Queen of all thing frugal! Rather than using my "go-to" polka dotty pie dish I decided to take inspiration from Laura at Cake and Feminism and make my pie in a cake tin! 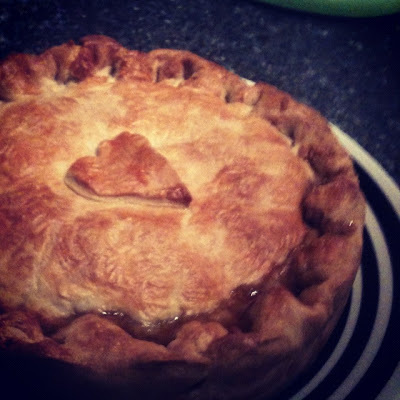 I loves the chunky home-made look of her game pie and wanted to see how mine would turn out. I absolutely love the crimping and the depth of the pie made in a cake tin. For the pie filling I used some leftover stew. I had made a beef and root vegetable stew the week before and frozen some portions for mid-week winter warming meals. I defrosted it at room temperature all day while I was at work. I had to drain a little bit of liquid before popping it in the uncooked pie crust, mainly because I didn't want soggy pastry. 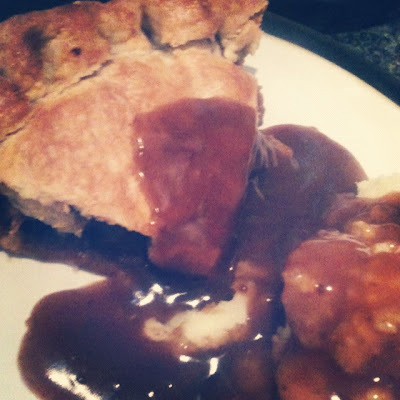 I never blind bake my savoury pies, I am a lot of slap-dash and rustic in my savoury pastry and also I quite often have it with gravy so I love a nice crusty flaky top with a slight squidge to the bottom. Shameful to admit, I know. I start by mixing the flour and salt in a food processor. Then I add the chilled and cubed butter and pulse until you have something which resembles course breadcrumbs. I then add the egg yolk and 2 tbsp of cold water and pulse until it just starts to clump together. I then wrap the dough in clingfilm and pop it in the fridge to chill for at least 30 minutes. The Stew itself isn't very fancy, its as simple as some gently fried off diced beef, chopped carrot, sweet potato, potato and leeks chucked into my slow cooker, covered with beef stock and popped on low for 8 hours or so. When I get in from work I simply thicken it up with cornflour and add some seasoning to taste. Et voila! It made for a really comforting and tasty meal which we then had the following day as leftover leftover stew pie! Served with some veg mash and gravy. How do you best utilise your leftovers? 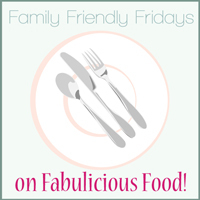 I have linked this post to Fabulicious Food's Family Friendly Friday blog event. Now that's a proper pie! Love the deep tin and the yummy gravy photo. 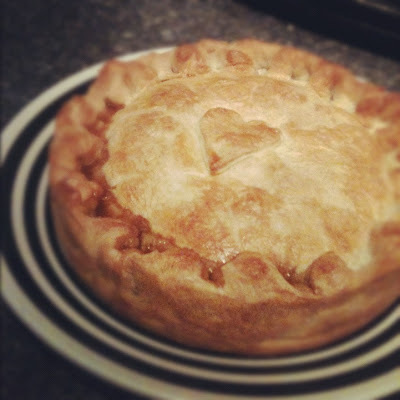 I am always being asked to make a pie but I never get round to it - it's perfect for a snowy day like today though! I hope its OK for me to post it, I mean I don't have children or anything but felt this was a great "family" recipe! This is a delicious looking meal! I would love to try this. Will have to look up a converter so I can try the crust! Yum!